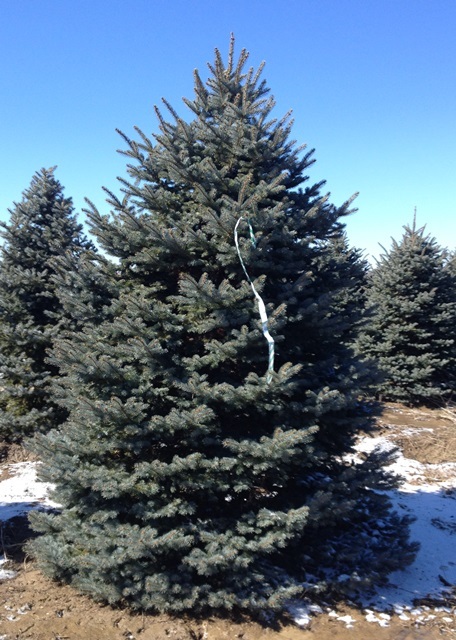 Listerman and Associates, Inc. » Digging Season of Trees is Upon Us! Digging Season of Trees is Upon Us! 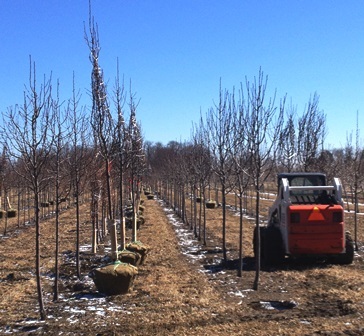 Getting ready for Spring is always interesting in the Nursery Industry! 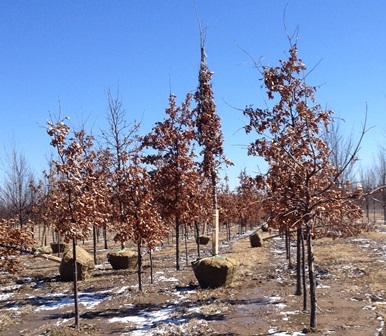 As many of you know, the nursery must harvest all of its deciduous woody trees and shrubs while the plants are still dormant, i.e. before the leaves break bud. 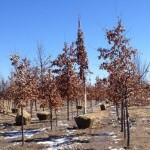 We typically have many months to tie up the tops, place baskets, dig on warmer days, and haul into the dock for shipment. Typically we have little or no frost that penetrates deep into the ground making digging of trees like digging in solid ice, but in some places where the snow blew off the frost was going 18″ deep just 2 weeks ago. However, we have had a couple good days of digging and are making good headway, with some of our nurseries being able to plant as well. If your job has a rush on it, Listerman will do everything we can to make your deadlines, but with the compressed window for digging – brace yourself for the nursery allocating their labor for loading to focus on digging instead. That being said, we are digging hot and heavy and will be calling to set up your loads shortly! Make sure to get your orders in as well as some of our southern nurseries have stopped taking orders in their compressed spring. Check out these Fat Albert Spruce 10-12′ tall tagged for your next job! Super Nice. Ready for their new home! Ready for Your Landscape Job!